Champion's Huddle: Studying the mental game. Sunday's 2:30-3:00 pm following clinics and open room. Every Sunday, Carson Beebe and guest clinicians will be leading our "Champion's Huddle." 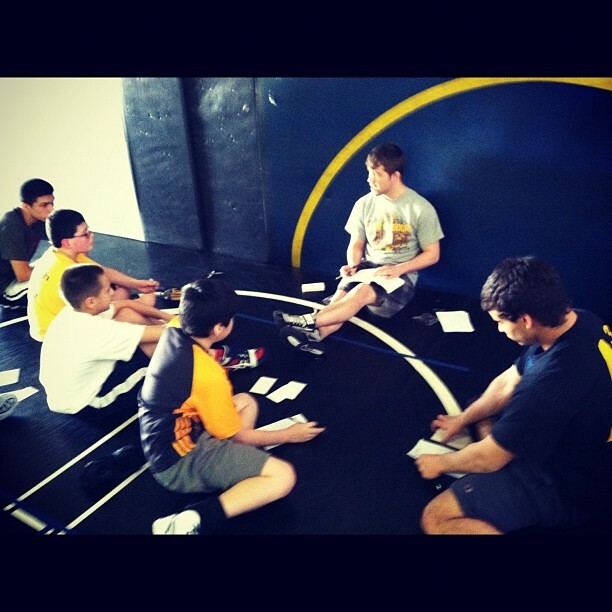 In this huddle we will discuss one of the most important aspects of wrestling, the mental game. We will also talk about the most important aspect of life, the spiritual game. This huddle is totally optional and open to anyone that wants to improve their mental game and grow in their faith.